mount saint marys – Cloudy With a Chance of Catholic. 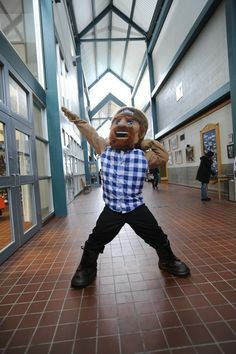 Vote for The Mount’s Emmit S. Burg in Catholic Mascotology 2014! As of Thursday, I am officially halfway done with my college career. I can’t even believe it. Freshman year went by so slow, but Sophomore year? I feel like I blinked, and then I was done. I started off the fall semester but finally taking the classes needed for my majors. I took Introduction to Literary Study I, and Introduction to Christian Theology. I also discovered that I’m good at philosophy, and really like it, to boot! Because I hate myself, I declared myself an English and Theology Major with a minor in Philosophy. Katie before declaring her double major and minor. Katie post-declaration of double major and minor. But really, I am so glad I took on that Philosophy minor. It goes beautifully with Theology and English, and I have learned so much because of the classes I’ve taken and the skills they have taught me. Even though Theology, English, & Philosophy are considered to be three of the most useless majors (rude), I am so passionate about all three and the good they can do in the world. Really, is any major “practical”? It’s incredibly rare for college students to find a job in their major right after graduation, and most majors require a Masters’ degree to get anything done. You can’t really do anything with a psychology or sociology degree unless you go to school for at least two more years. There are going to be people who judge me for my decisions, but there are also so many people who support me, and even respect me for it. Something I have learned is that, often, my biggest judge is myself. That’s also the hardest judge to defend myself to. I can tell everyone why I’ve chosen my majors, “Because it’s what I love”, but when my inner judge comes out, no defense is good enough to excuse my “crime” of impractical majors. I find myself second guessing my English major almost daily, “Should I have gone with communications instead? What if no one wants to hire me simply because I’m an English major?” Maybe choosing communications would have been more practical, but it wouldn’t have led me to the self-discovery and passion I’ve found as an English major. In the long run, I hope that’s what matter. When I’m sitting in a job interview, and my interviewer asks why I chose English as opposed to communications, maybe “because I loved it. Because I wanted to learn to analyze, and understand, and write about what I analyzed and understood. I wanted to see how the world influences art, and how art influences the world. I am learning that. Would I love to have a big house with a super stable job and a steady and heavy income? Well, duh. I am human. But I also know that things aren’t going to make me happy. If depression has taught me anything, it is that you can get everything you want, and still feel worthless and unloved. Happiness is found in God. I started this blog post out as “lessons I’ve learned after sophomore year” and it morphed into this… thing. Yeah, I’m not really sure what it is. But, I guess that’s life, huh? This picture was taken the Saturday before finals. I was studying in the library with a friend for our American History class, which was also my hardest class. To help keep me awake, I got my favorite drink, and it made studying just that much better.